Step-by-step, day-by-day, and community-by-community we are working to build a new economy that will transform Jackson and the South. This transformation will be rooted in creating an economy based on worker ownership, worker self-management, and worker democracy in the form of cooperative enterprise. Together these are the foundations for creating economic democracy, which is the next step in the long march to create a just society based on human rights, human dignity, social equality, and economic equity. We encourage everyone who believes in these social aims to stand with us in creating a national network to support Cooperation Jackson, the Southern Grassroots Economies Project and the movement for economic democracy. In Jackson, the rest of Mississippi, and throughout the South, those most marginalized in our present economy are at the forefront of a grassroots movement to build the next economy. This is part of a larger global vision to create financial mechanisms that do not profit off of inflicting harm upon oppressed communities, but instead explicitly serve their interests. Cooperation Jackson and the Southern Grassroots Economies Project are two organizations modeling this vision. Their efforts are grounded in a tradition of Black collective action built on aspirations to challenge racism and build community power. This practice spans from mutual aid societies to the Underground Railroad, from desegregation efforts to rural agricultural cooperatives, from legal challenges to nonviolent direct action. However, they cannot do it alone. These groups are making a direct request for financial support to pay organizers, to keep the lights on, and to provide technical assistance to emerging cooperatives. 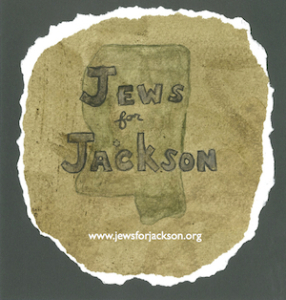 We want to offer a strong visible Jewish response to this request by contributing money to efforts in Jackson, Mississippi, and across the South. We stand firmly committed to challenging longstanding systemic barriers by playing a role in the building of wealth and self-determination in Black communities most impacted by the financial crisis. In honor of the 50th Anniversary of Mississippi Freedom Summer, over 50 of us have committed some increment of 50 ($.50, $50, $500, $5,000, $50,000) to support Cooperation Jackson and the Southern Grassroots Economies Project. We invite you to join us by giving an increment of 50 that is meaningful to you in honor of these courageous acts. 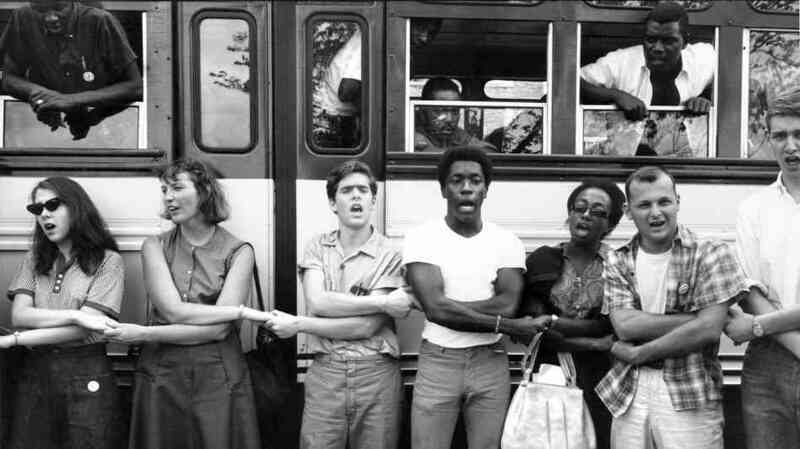 Fifty years ago, amidst intense racial hostility, a coalition of civil rights organizations, comprised of the Congress of Racial Equality, National Association for the Advancement of Colored People, Southern Christian Leadership Conference, and Student Nonviolent Coordinating Committee, launched Mississippi Freedom Summer. Thousands of Black Southerners dedicated their summer to the project and hundreds of Jewish college students traveled to Mississippi. Working under veteran Black leadership, these Jews helped to hold voter registration drives, as well as to establish Freedom Schools and community centers across the state. 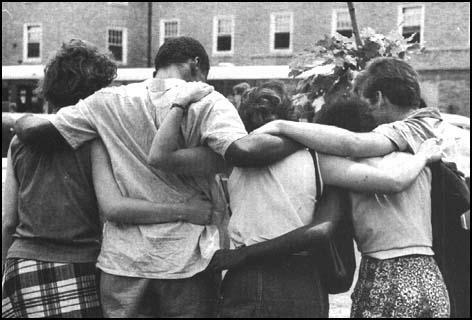 Those who did not go South sought out additional ways to act in solidarity with the movement, such as joining a local Friends of Student Nonviolent Coordinating Committee chapter. Through this platform, several Jews raised funds, educated their communities about the struggle for Black freedom, and applied political pressure. As these collective efforts posed a direct threat to established racial order, they were met with resistance. On June 21, 1964, a Black Mississippian, James Chaney, and two Jewish activists, Andrew Goodman and Mickey Schwerner, were sent to investigate the burning of a Black church targeted as a place for civil rights organizing. The three young Freedom Summer activists were brutally murdered later that night. The event was simultaneously tragic and sadly unremarkable; thousands, the vast majority Black, had been lynched since Reconstruction for standing up for racial justice. Today, fifty years since Freedom Summer, we are in a time of renewed racial backlash. This underlies attacks on voting rights, increased police brutality, racial profiling, mass incarceration, systemic discrimination in housing and jobs, and massive school closures. Through policies and centuries of wealth and resources being drawn away from the South, the Southern region of our country has carried the brunt of this injustice. As a result, Mississippi has the highest rate of poverty, second highest rate of incarceration, and lowest household income in the country. Meanwhile, Jews on the whole have risen up the economic ladder. The majority of Ashkenazi Jews, who fled poverty and persecution in Eastern Europe, assimilated upon arriving on these shores. Although only reluctantly accepted into whiteness, these Jews have gained considerable material privileges. This is not to say all Jews are wealthy, nor all Jews are white. The majority of American Jews are in fact not wealthy, and 20% of Jews are people of color. This is also not to say anti-Semitism is a thing of the past; it remains very present in our society, sometimes taking vicious forms. But the fact remains that many of our families have been able to build resources and accumulate wealth, in part because of access to white privilege. We must acknowledge and leverage this privilege and the material advantage it brings many of us. We are a cross-class, multi-racial, geographically diverse, intergenerational group of people with different expressions of Jewish identity. We are committed to continuing the legacy of James Chaney, Andrew Goodman, Mickey Schwerner, and everyone else who chose to pursue justice in the face of fear during Mississippi Freedom Summer. We are activists, organizers, Rabbis, Civil Rights Movement veterans, educators, writers, students, artists, farmers, and concerned community members. We hear Torah’s charge, “Justice, justice, you shall pursue” (Deuteronomy 16:20) as a call for collective liberation. We believe that we are interdependent: our lives and dignity are inextricably woven together. Fear, based in histories of oppression, displacement, exclusion, containment, pogroms, and genocide has pushed many in our community to forsake the values of struggle and dissent that were once central to our people. While many of our ancestors have sought out assimilation in hope of ensuring safety, we are firmly committed to the belief that true security is ultimately an illusion when injustice persists. We recognize that there are many ways to leverage our collective power towards racial justice in honor of this history—for example, current organizing to support the Voting Rights Amendment Act. We see this call to action as just one piece of a broader struggle to mobilize against racism at every level and location. Together, we are creating a new narrative of building safety by joining alongside, instead of against, other oppressed peoples. We are shaping our collective struggle to be one that has us sharing what we do have access to. May the memories of Chaney, Goodman, Schwerner, and all those who dedicated their life to building a better world be for a blessing. We choose to honor them by not giving up hope. We choose to honor them by coming together and making a bold move in the name of justice today. Jay’s reflections on attending the Freedom Summer 50th Anniversary conference. Stand with us in supporting Cooperation Jackson and the Southern Grassroots Economies Project. Copyright © 2019 Jews Standing With the South .